SOHO Diversified Group opens its eleventh Bonchon outlet at Lot 0013-2 #1024AE0, Street 217 Sangkat Stung Meanchey, Khan Meanchey Phnom Penh. 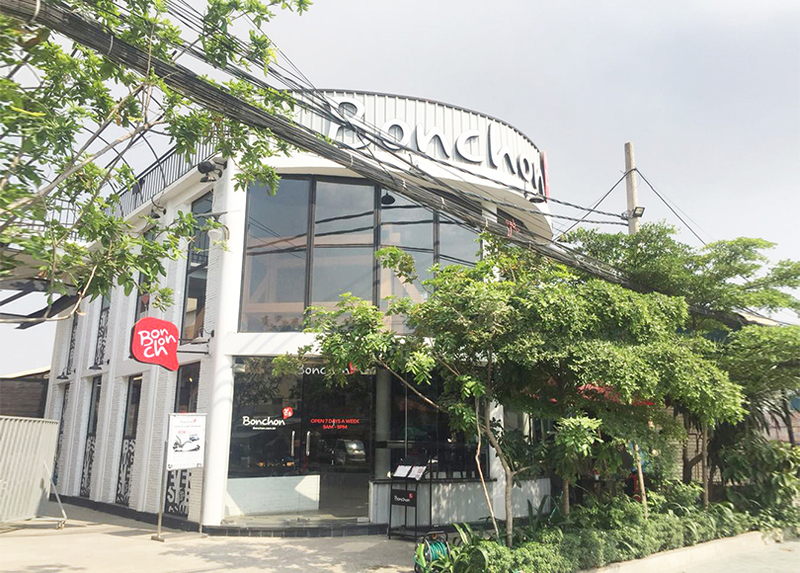 Bonchon Steung Meanchey is sitting at the industrial neighborhood on the southwestern outskirts of Phnom Penh. The store design is Inspired with traditional farm concept. Bonchon Steung Meanchey will attract a vast amount of locals and tourists passing through in and out the city.